Endocrine System Support Supplements | Highest Quality Supplements Online | Get Here! The principal role of the body’s endocrine system is to regulate various functions such as reproduction, growth and energy balance. This system consists of a number of glands (pituitary, thyroid, adrenal, thymus, pancreas, ovaries …) which produce chemicals called hormones. These substances act on target cells by speeding up or slowing down their normal activity. Each one acts on specific tissues which recognise that particular hormone. A number of health issues are caused by hormone dysfunction including menopause symptoms, thyroid problems, metabolic diseases such as diabetes, sexual dysfunction in men and chronically high levels of the stress hormone cortisol. Medical treatments are available for these problems and while sometimes essential, they can often be restrictive or produce side-effects. However, a number of natural products identified through traditional use and scientific research are considered ‘hormone precursors’ and are thus likely to stimulate hormone production. Interest in these medicinal plants is growing because such treatments have a high therapeutic index and are also free from side-effects. Take one or two capsules a day, or follow the advice of your therapist. Women should take one to two capsules a day, and men - three to four. adults. Take 2 capsules a day. Each capsule contains 50 mg of Laxosterone®. Apply half a teaspoon twice a day to the neck, chest, inner arms or thighs. Do not use on mucous membranes. Individual needs may vary. This cream can be used every day. Take one capsule three times a day. 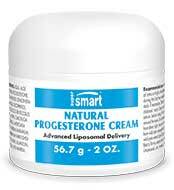 Which natural products address the most common hormone-related problems? Hormone dysfunction can often cause endocrine disorders or a variety of symptoms. Here is Supersmart’s list of the most common of these problems and the natural ways of either treating them or of complementing primary treatments. Hypothyroidism: Hypothyroidism occurs when the thyroid gland, situated below the Adam’s apple, produces insufficient hormones. Prevalence increases with age, with around 10% of over-60s affected. 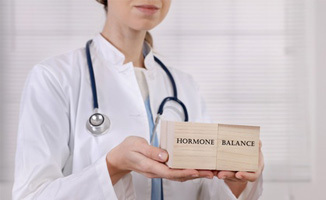 Most people with hypothyroidism need hormone replacement therapy but alternative approaches (selenium, iodine, tiratricol) are also useful, especially for those with borderline conditions. Menopause: Part of the natural ageing process, the menopause results in decreased oestrogen levels, characterised by symptoms such as hot flushes, vaginal dryness and weight gain, as well as over-production of follicle-stimulating hormone (FSH). Several natural products have demonstrated benefits in this area including chasteberry extract, commiphora mukul, withania somnifera, and asparagus racemosus. Male sexual dysfunction: This may be related to androgen deficiency – a hormonal problem involving decreased production of the androgen hormones (part of the testosterone family) essential for stimulating desire, excitement and erections. In ageing, this may also be linked to aromatisation - the conversion of testosterone into oestrogen by the enzyme aromatase. Natural products including Tribulus Terrestris, Tongkat Ali and Maca appear to raise testosterone levels, increase libido and promote spermatogenesis, while ginseng may improve erectile dysfunction.